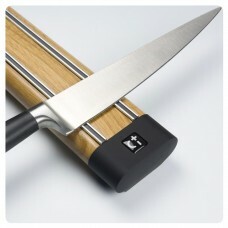 This wooden rack is perfect for those wanting a more natural look and feel. 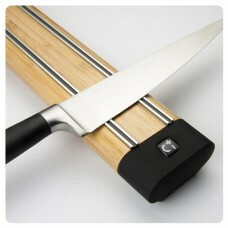 Available in 300mm o.. 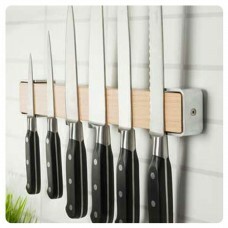 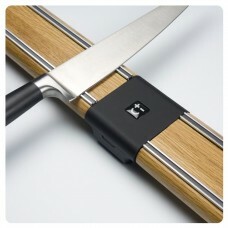 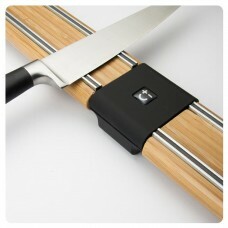 Magnetic Knife Storage Rack for approximately 6 Knives made out of Oak. 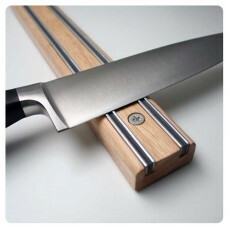 Total length 360mm..
Bisbell Oak Magnetic Knife Rack - 450mm length Make a statement in your kitchen with this ce..
Beech Wood Knife Storage Rack for 6 Knives A beautiful fusion of traditional and new, this u.. 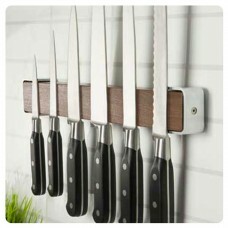 Magnetic Knife Storage Rack for 6 Knives in Walnut wood A beautiful fusion of old and new, t..